Do you know which the best E-book readers are? Well, you have come to the right place. By the time you finish gaping through this article, not only will you know the best products on the market, but also how to go about choosing the right item. The truth is that many of us love reading. Some like magazines, others novels, some motivational articles and there are those who want teaching stuff. However, a majority don’t like carrying a heavy book because it’s cumbersome and may be inconvenient to carry, can easily be damaged by moisture or sweat, and is also easy to forget or misplace. Also, if you plan to read several books, novels or magazines, then you will have a big load to carry around. We can’t also forget that books and magazines take up quite some space. The good news is that you can still bring your library of books with you and read it anywhere, anytime without the hassle and inconvenience of large bags. All you need is an e-book reader. This electronic device resembles a tablet and provides an interface that is similar to a book. In this review, we will briefly look at the top 10 best E-book readers in the market. 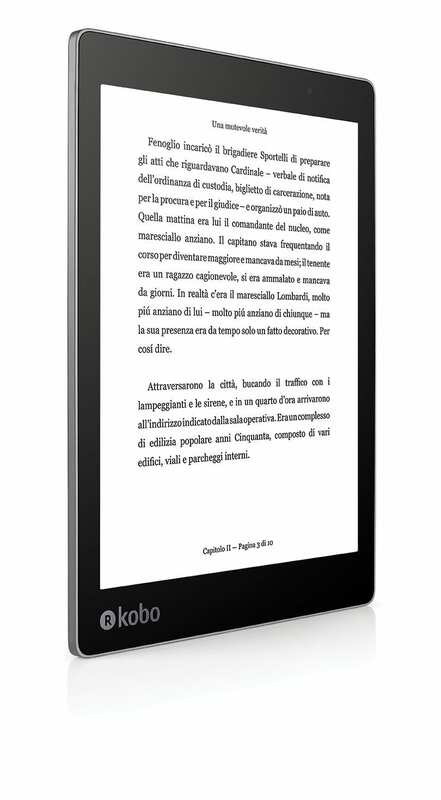 Next on our list is the Kobo Aura ONE. 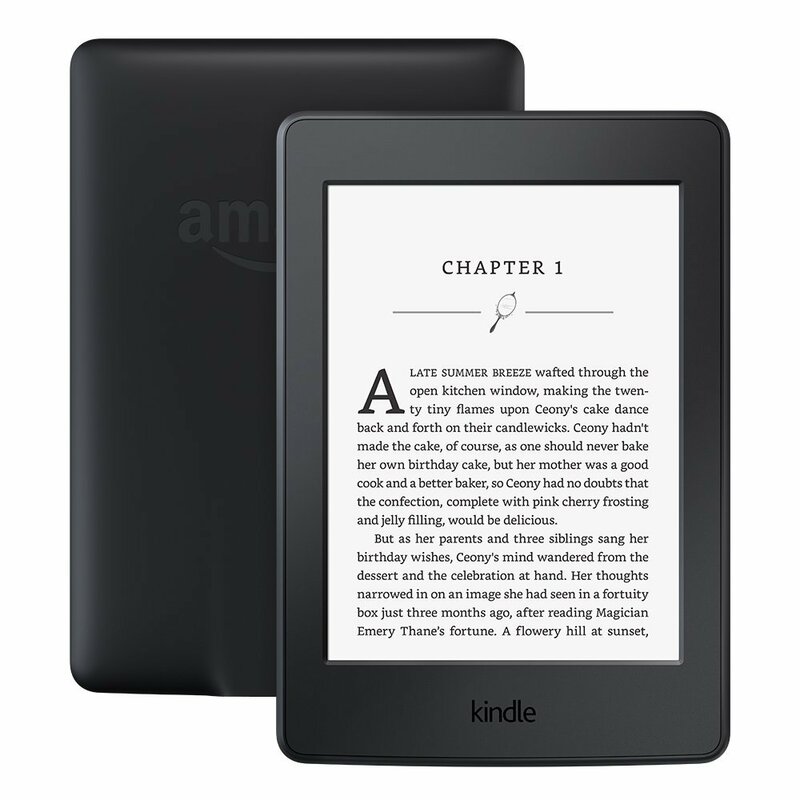 Although not as popular as the Kindle brand, many consumers rate it among the best. They love its good weight which makes carrying not only convenient but also easy. It has a decent screen size of 7.8 inches, which is way better than the common 6.0-inch screens. The compact design makes handling it very easy whereas the nicely lit back screen and blue-light night reading prevent eye strain. It has crisp text and images courtesy of the 1872 x 1404 E Ink display and a fairly fast 1 GHz processor. You also can store a good volume of text thanks to the 8GB storage. 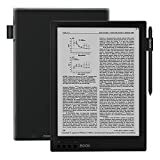 The Max2 Reader from BOOX is another popular ebook reader and appeals to new as well as experienced users. It features an easy-read 13.3-inch screen and displays the text is crisp and clear style courtesy of the Dual-Touch HD display and the good resolution. The handy unit features a fast 1.6G Quad-core processor that delivers top performance and prevents any hanging or freezing screen. This experience is enhanced by the Android 6.0 whereas the 32 GB memory allows you to store many articles with no issues. And to help you read or view content via a TV or external monitor, this unit has an HDMI cable. 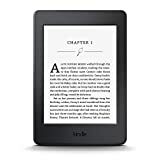 We start with this e-reader from the well-known Kindle series. 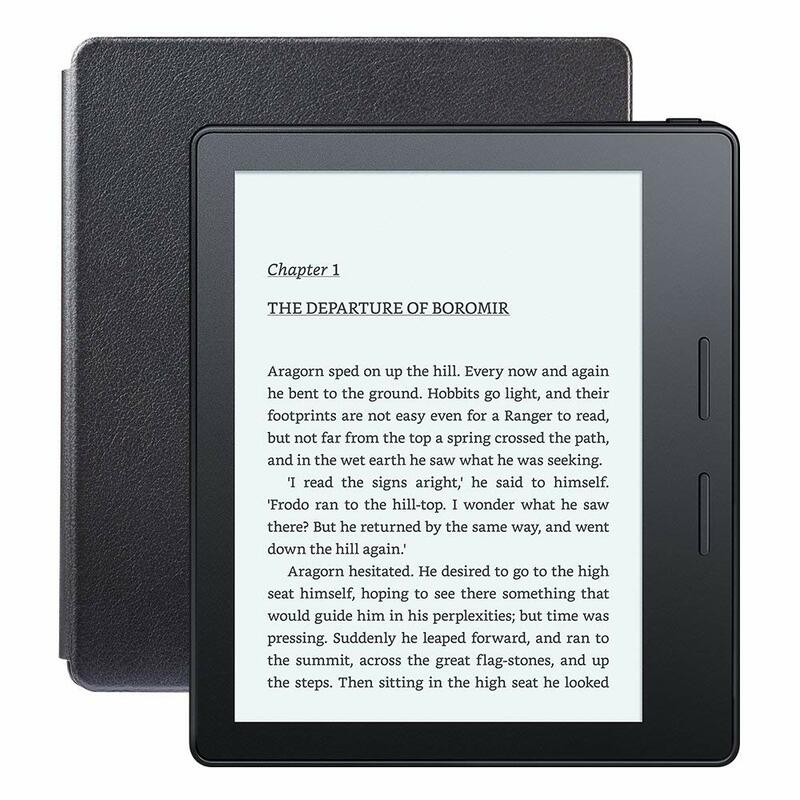 The certified refurbished reader has a 6-inch screen for displaying the text and images and has a slim profile for better handling. It also is lightweight and can be used for a long time without making the hands too tired. The unit features an anti-glare screen top protect your vision from reflection and brighter light and a sensitive Touchscreen for easy operation. 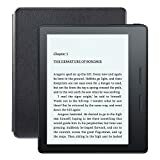 And unlike other eBook readers, this unit has a long-lasting battery that can last for weeks compared to most of its rival’s that last a few hours. 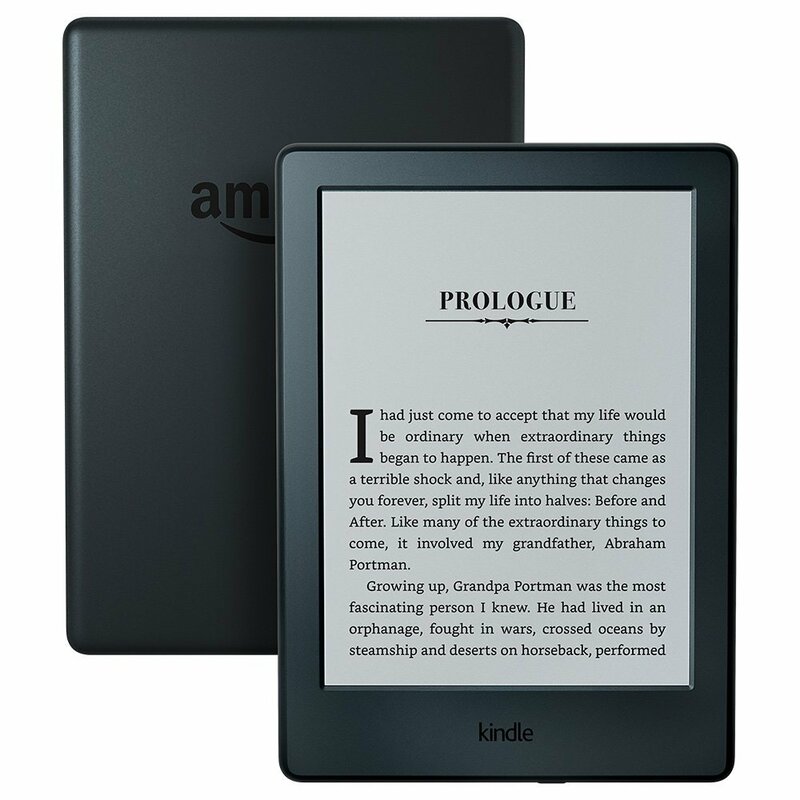 It is Wi-Fi compatible and provides a natural book-like interface. Truth is Kindle is king when it comes to e-book readers. This unit ranks among the best from the company and can hold lots of information courtesy of the 32GB storage capacity. It features a nice anti-glare 7-inch screen that lets you read content with ease and without worrying about harming your vision. It has a highly responsive display for moving pages, scrolling up and down, and also highlighting particular text. To relay crisp and clear text, the reader boosts of 300 ppi high-resolution display. It is waterproof to endure sweaty hands, moist environment, and wet conditions and includes high quality built-in Audible. The Graphite colored unit supports Wi-Fi for easy linkage to a network. 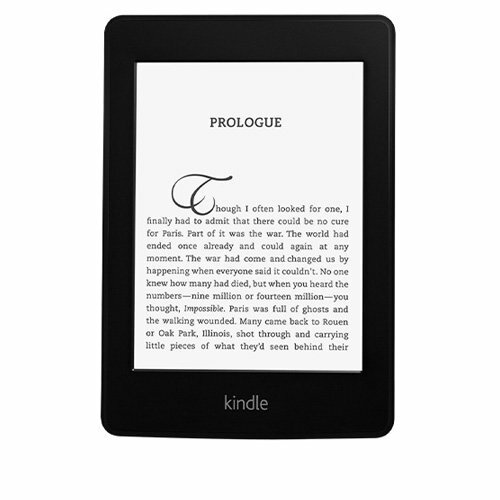 If you want the thinnest and lightest ebook reader, then this one from Kindle will be a good choice. It has a very slim profile for convenient handling and is also among the lightest pieces. Nevertheless, despite its light nature, it has a very good high resolution of 300 ppi for easy reading of the crisp text. 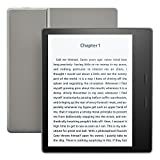 The 6-inch screen provides natural book-like interface and thanks to the absence of glare, you won’t struggle to read even in bright lighting. It has a newly-improved design that is more ergonomic than the earlier version and a durable battery to allow you to read for more hours. If not for the relatively small print area, this e-book reader would have ranked higher on this review. Nevertheless, it’s still one of the great options on the market. It has a 6-inch display, which seems to be the most common, and comes in an International Version for use in many locations. The lightweight unit is well-built to handle everyday use and delivers high-quality text via the 300 ppi resolution. It has a non- reflective screen that reduces glare which may affect the visibility particularity in bright light. You can adjust the light to suit your surrounding or individual preference and also enjoy longer reading hours thanks to the durable battery. 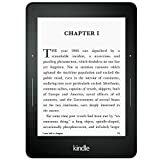 If you are a passionate reader or are simply looking for a convenient and user-friendly reading platform then you will like this Kindle Voyage E-reader. 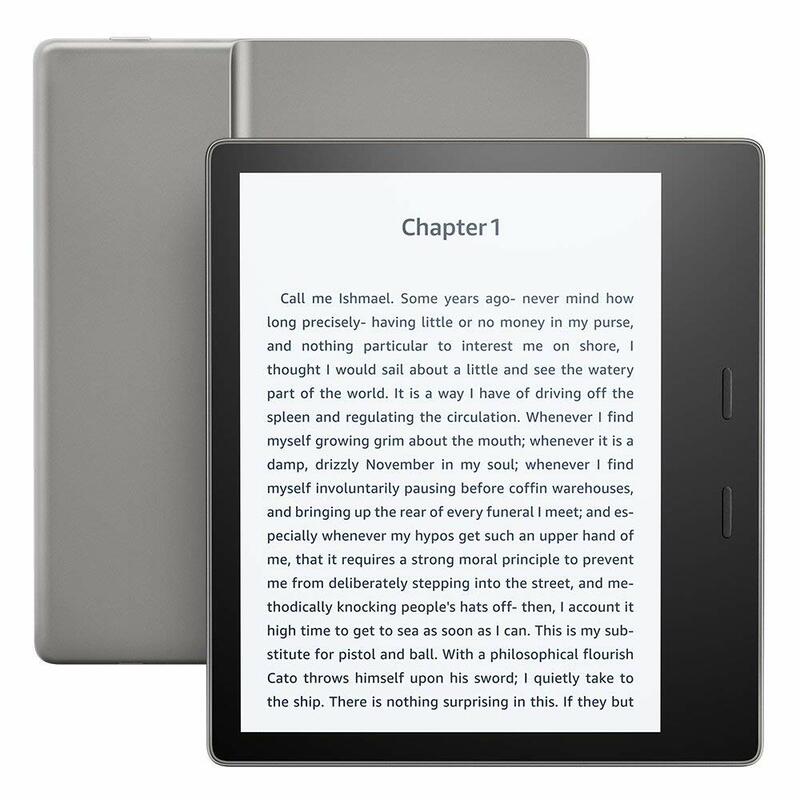 It features a 6-inch screen that relies on 300 ppi high resolution to ensure the display is not only clear but almost same as a book. This is enhanced by the adaptive built-in high resolution that delivers the best lighting whether for day or night reading. You also have an easier time turning the pages without raising a finger courtesy of the PagePress. The long-lasting battery delivers charge for as many as weeks and not just hours. 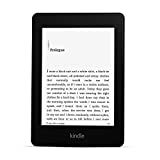 Featuring a 6-inch display and boasting of high resolution, the Kindle Paperwhite 3G lets you read books, novels, magazines and other publications in soft copy. The book-like display gives you the same experience as if reading from a book. This experience is improved by the antiglare screen that combats reflectivity and the powerful processor that reduces freezing and lagging. The built-in light is adjustable to suit your preference whereas the touch sensitive screens makes turning pages or scrolling up & down easier. It has a large memory to hold lots of books, novels, and magazines and is compatible with Wi-Fi. 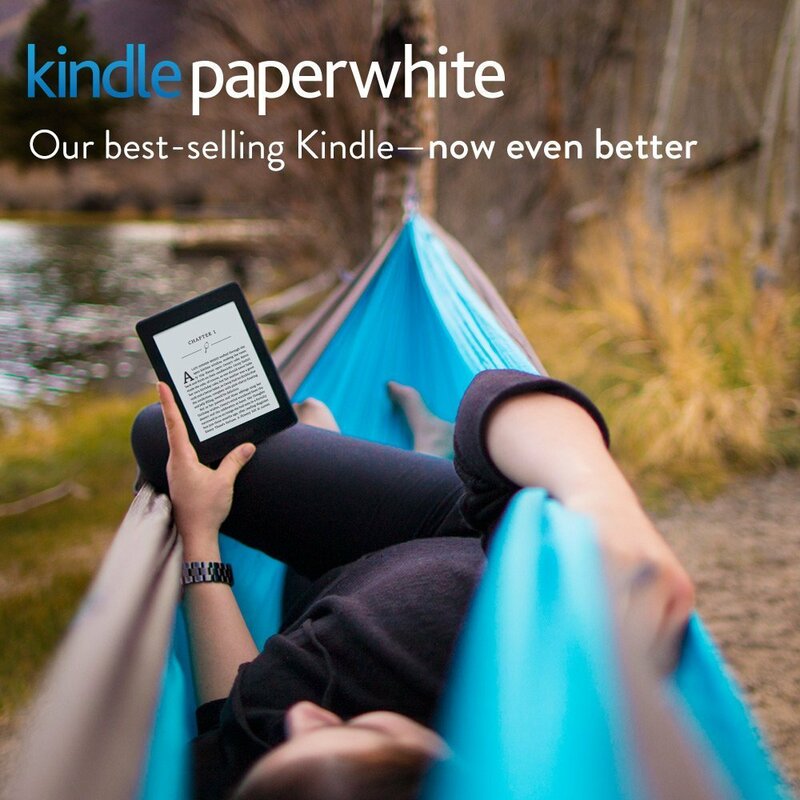 One spot shy of the top spot is this 6-inch Paperwhite ebook reader. Like the other top choices, it has been on the market for some time and commands a large following. According to consumers, it has a very user-friendly interface thanks to the highly responsive and the no-glare screen. You can use it without harming your eyes even in very bright light and it’s also legible in dark-lit environments. The 212 ppi resolution relays clear text while the durable battery offers you more reading hours. And since it up to 30% lighter than most models, you can handle it conveniently while the ergonomic design improves comfort. 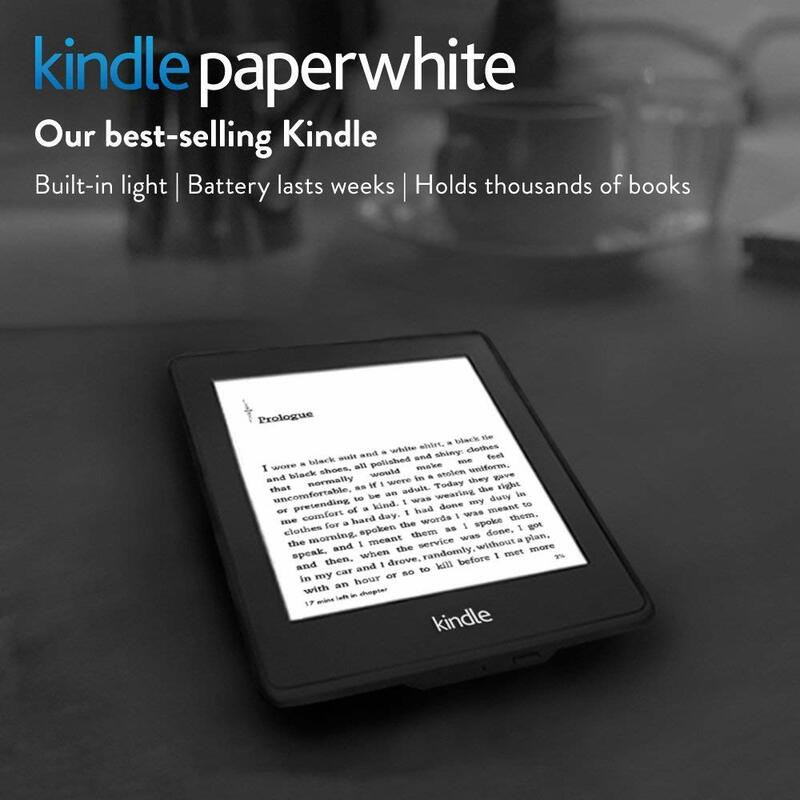 The top position goes this Paperwhite E-reader from Kindle. It is among the top selling products on the market and also enjoys amazing reviews from consumers and analysts. The gadget features a 6-inch screen which together with the high resolution of 300 ppi delivers quality text. It has an adjustable light to suit different environments and an anti-glare screen for the best vision. The fast charging battery keeps a charge for a long time and you should expect it to last for weeks and not just a few hours like other alternatives. It’s also easy to operate and carry thanks to its ergonomic design. You have the option of either the black or white colors. The gadgets come in different sizes to cater to varied needs. It, however, has been proven that 6-inch units are the most common. Anything smaller may be challenging when it comes to reading. A good accessory comes with a nice resolution and pixel for easy reading. If the resoling is too low, then the text may be poor or blurry. You also don’t want a very bright screen that affects your vision. 300 ppi seems standard and if you can get a higher resolution the better. It’s vital to pick an item that feels just right when using or carrying. A heavy unit will make your hands or finger tired and this will affect the reading experience. The above items have a nice weight to complement the good size. One thing that distinguishes ebook readers from tablets is the interface. 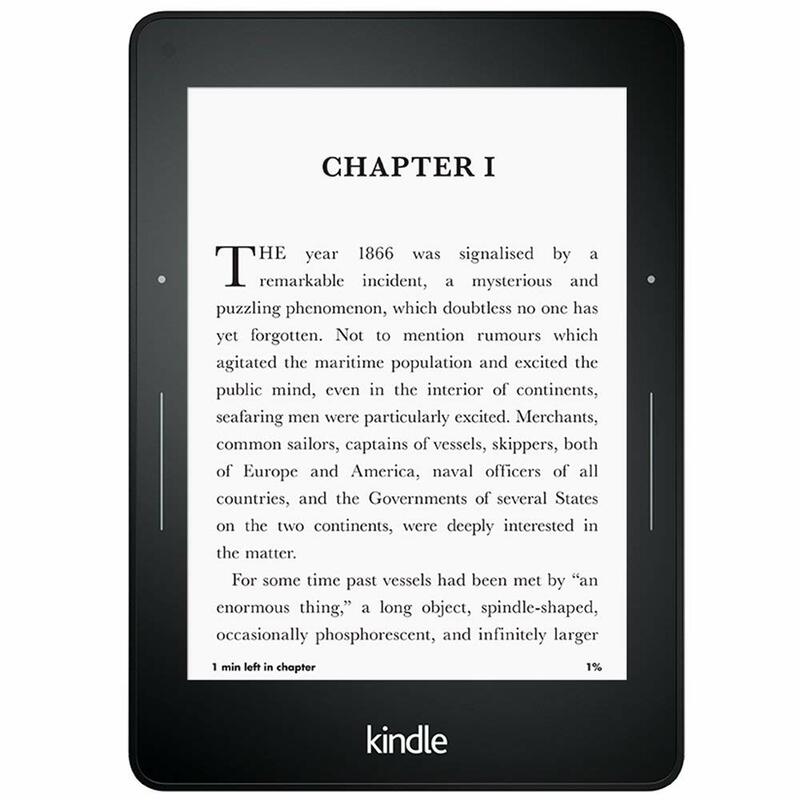 Unlike a tablet which has a glossy screen, an e-reader doesn’t. This minimizes the glare especially in bright lighting and thus improving the experience. Too much glare is also harmful to your eyes. You should opt for a unit that can handle a large volume of articles, books, and other publications. This entails choosing one that has a high memory such as 32 GB. You will be able to store a large library and it won’t suffer from freezing or hanging display. You should focus on the battery capacity as this will determine how long you will use the unit before it needs recharging. A top product has a long-lasting battery that keeps a charge for a long time. It will also charge fairly fast and this minimizes any interruption. Other vital considerations include the design, waterproofing, area of use(indoor/outdoor), brand reputation, Wi-Fi connectivity, App compatibility, and cost. You no longer need to postpone a reading session because you don’t like carrying books or magazines. You don’t need to haul several books or endure the heavy load because you love reading. Also, you shouldn’t take up too much space in your bag, home library, and study room or in your luggage by packing lots of books, magazine, novels or any publications. What you deserve is an E-book reader. It offers you a similar experience just like the normal book but is way lighter and very convenient to carry. The tablet-like gadget can pack quite a lot of material thanks to the large memory that can store hundreds if not thousands of books. 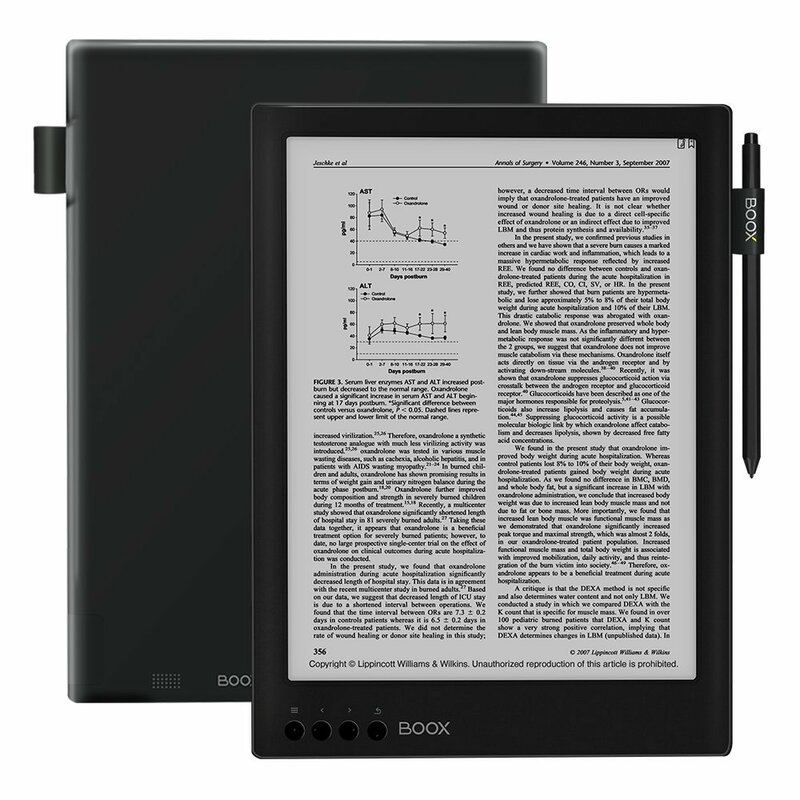 It comes in a lightweight for easy carrying, user-friendly interface that is free of glare or excessive reflective and a well-lit screen for easy reading even in poorly-lit surroundings. To help you pick the best E-book readers, we reviewed the top and most popular items on the market. We looked at the size, screen/display size, responsiveness, battery life, portability, resolution, quality, and affordability. With any of the reviewed gadgets, you will enjoy every reading moment.